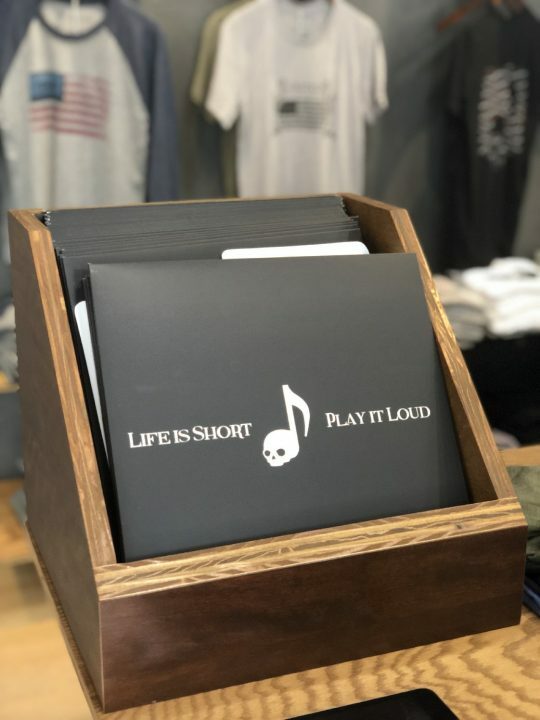 “Life is Short, Play it Loud.” These six words truly embody the philosophy and style behind Encore Apparel Company, who are opening their doors on September 9th at the cornerstone property at 303 Newbury Street. What started as a chance for two friends to breakaway from the corporate world and build a business centered around their shared passion for music, has ultimately led to a unique brick and mortar store on Boston’s renowned Newbury Street. 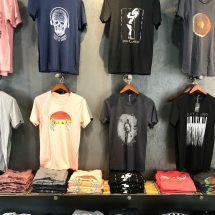 The concept at 303 Newbury will feature Encore’s signature tees, a wall of guitars, as well as a lounge area for guests to kick back and discover new music. The best part might be that the guitars on the wall don’t just serve as decor; eventually they all will come to serve the community through Encore’s innovative 50 Makes 1 donation program. For every 50 project encore tees sold, 1 guitar is given to a student in need throughout our communities in the hopes of giving them the opportunity to pursue their musical talents. 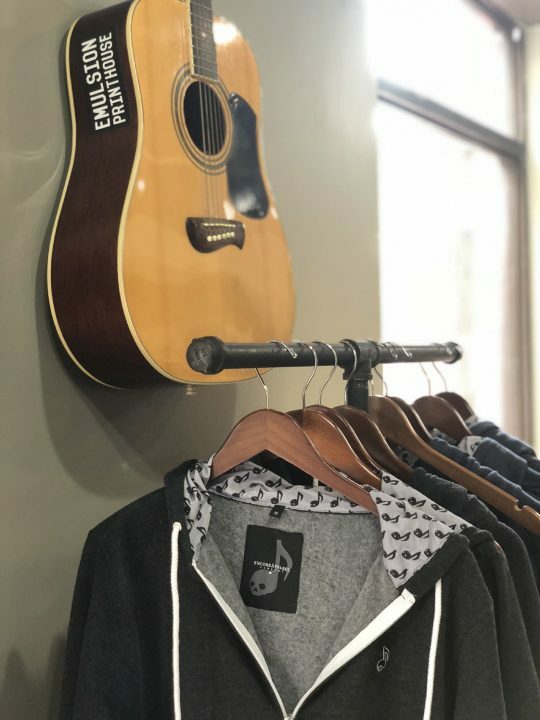 Encore Apparel Company has an opening date of September 9th and in addition to sharing their designs, they hope to share the gift of music with our community via an intimate area within the store perfect for acoustic guitar. They foresee the space not only will host local musicians, but eventually feature recipients of their donated guitars who’d like to come in to play. 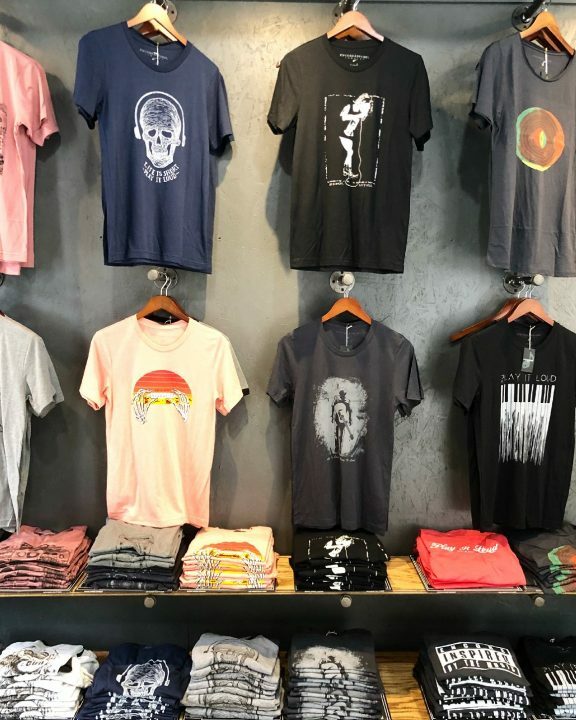 Stop by Encore Apparel Company’s first location at 303 Newbury Street for a glimpse at the future of retail and a chance to help support the next generation of musicians.